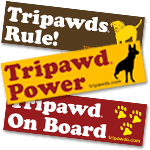 Be the first on your block to wear the latest in Tripawds fashion. 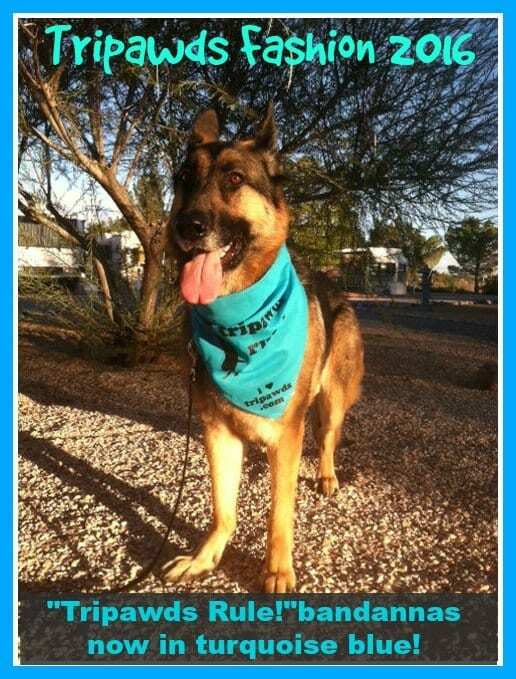 Turquoise blue looks great on any dog or cat! 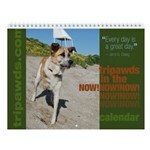 Just name your price and order yours today. Operators are standing by. 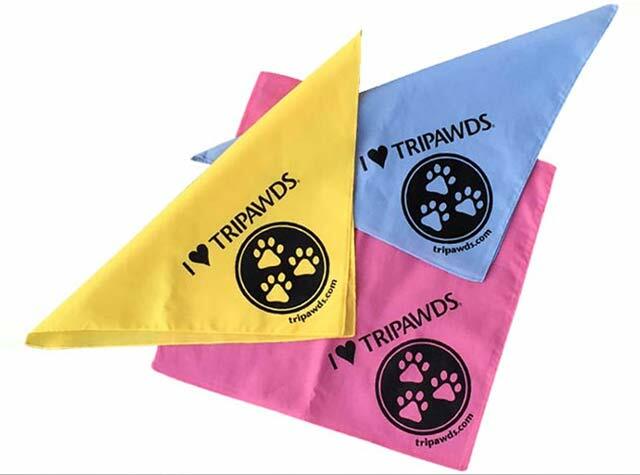 Get Your Tripawds Bandanna Here! UPDATE: New design now in two sizes. 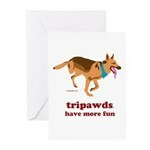 KillBarney Book Unique Gift for Tripawds Fans! You look very handsome in that bandanna color. I think it would look great on many other babies as well. You are giving Wyatt a big head Michelle! But thanks. The color is really nice, we’re so happy with the turqouise! I would love a pink one for my Kylie, but we are in Canada…?